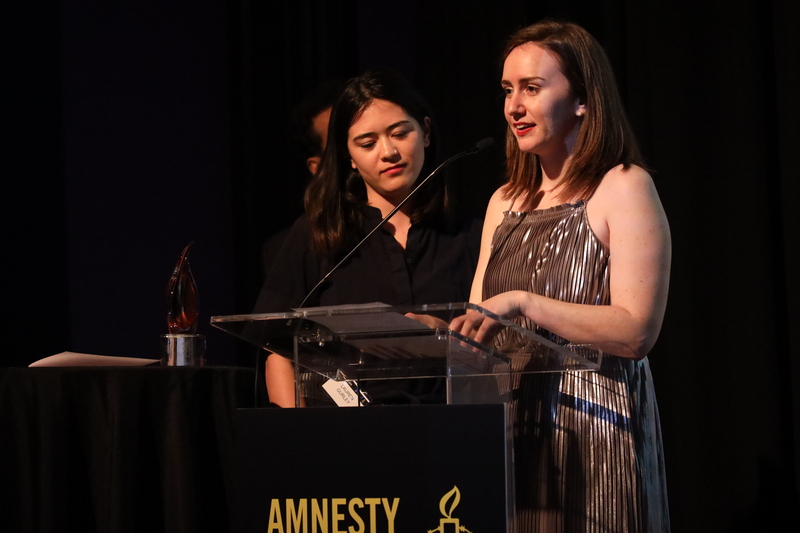 The winners of the Amnesty Media Awards 2019 were announced at a ceremony at Crosby Street Hotel on Wednesday 3 April. Please click here for a press release announcing the winners. Chicago hardly noticed when a white cop fatally shot a black 17-year-old in the middle of the street in October 2014. Laquan McDonald, who was carrying a knife, was the 14th person the city’s police had shot dead that year, and the days that followed saw no newspaper obituaries, no press conferences, and no large protests. But, McDonald’s death rocked Chicago 13 months later when a judge ordered the city to release a police dashcam video of the shooting. The infamous recording shows Officer Jason Van Dyke exit a police SUV and —within seconds — fire 16 shots at McDonald. Police reported McDonald had been swinging a knife at officers, but the video shows the teen walking away. The fallout was swift: Officers were accused of a cover-up, the top cop was fired, and the U.S. Justice Department launched a probe into the city’s police department. WBEZ Chicago and the Chicago Tribune teamed up to make a podcast that examined the shooting, the fallout, and the trials of Jason Van Dyke and three other Chicago police officers accused of covering up for Van Dyke. Since its release 16 Shots has garnered nearly 2 million downloads. Early on, it became part of classroom lesson plans that explored the shooting and trial. (Standout episodes: 1, 2, 3, 25). Stern traveled to Yemen to investigate a Saudi coalition bombing that caused the deaths of 31 people, including three children, and the injuries of 42 more. The victims were local villagers who were digging a water well for their community. What makes this story so unique is that Stern traced the U.S.-made bomb used in the attack back to the fabrication of its guidance system in Tucson, Arizona, and follows its route from the United States to Saudi Arabia to the fateful day of the air strike in Yemen. Shrapnel from metal forged in the United States is now permanently lodged in the head of one of its victims. Through his reporting, Stern effectively connects abstract foreign policy decisions made by the administration in Washington to the people who suffer the consequences of those decisions. Two days after publication, there was a vote in the Senate to ban the sale of more bombs to Saudi Arabia because of their airstrikes in Yemen. Senators on both sides disseminated the article before the vote. Although the resolution died in the GOP House, a similar one just passed in the new House. Just as the article was coming out, the Saudi coalition announced they were going to financially compensate the district targeted in the attack. Stern received an offer from a reader to pay for follow-up treatment for the person who still has shrapnel in his head from the attack. A publisher contacted Stern about a book version of the story. Claire Tighe and Lauren Gurley investigated inconsistent official reporting of violence against women in Puerto Rico after Hurricane María. The piece uncovered a massive system of irregularities in reporting instances of domestic violence and sexual assault on the island, exacerbated by the hurricane. They conducted their research in Spanish and English, interviewing officials, domestic violence shelter workers, and advocates in rural and urban areas across the island. Research for the piece began in January 2018 and culminated with in-person interviews and reporting in April 2018. The final piece included Tighe’s original photography and data visualizations created in partnership with Centro de Periodismo Investigativo (data supplied by Tighe and Gurley’s original reporting). El Centro published the piece in English and Spanish. The story made front-page print news in Metro Puerto Rico, was republished by seven additional international outlets, including Noticel, LatinDispatch.com, Tu Noticia PR, Latino Rebels, Sin comillas, El Nuevo Herald, and Stylist.co UK, and picked up by Jezebel and Bustle. 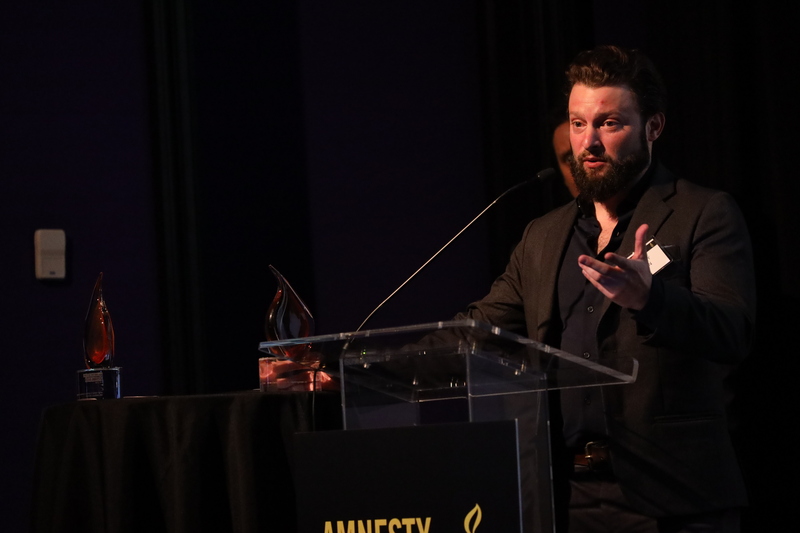 If you have any queries in relation to entering the Media Awards, please email Media@aiusa.org. 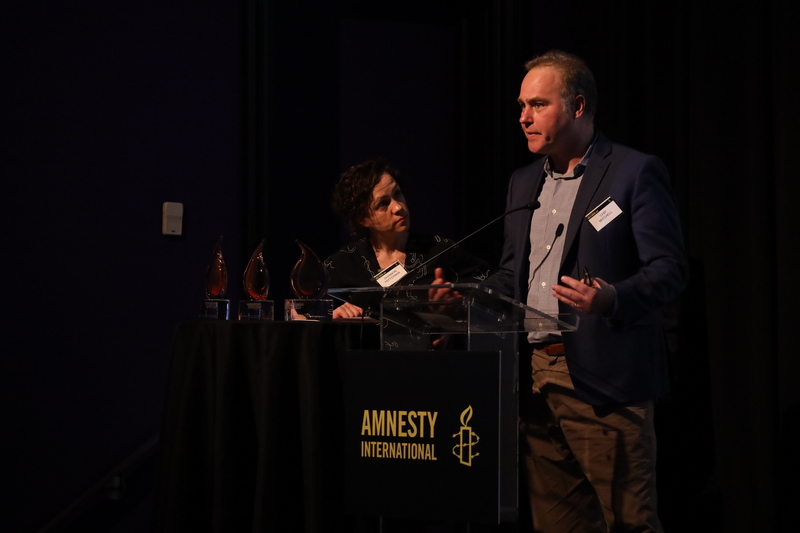 For any other questions about Amnesty International and their work, please contact: aimember@aiusa.org.